These free Excel bookkeeping templates can be used by anyone and any small business. Excel is a fantastic spread sheeting program and if you already have it on your computer, you already have the means to start your bookkeeping. You can also use a free version of Excel by opening a Microsoft account. Zapier have written about the free version here. 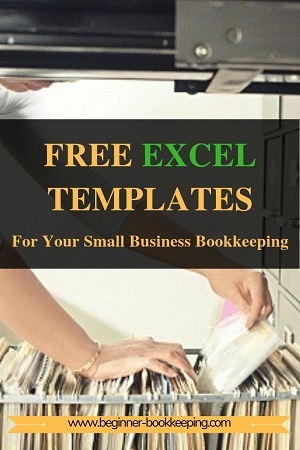 Most of these excel bookkeeping templates are easy to customize to your requirements. This means you change the background shading, and the fonts and layouts to get them to look how you like. Small businesses starting up can take full advantage of Excel until they are in a position to afford bookkeeping software. If you are new to Microsoft Excel or are not a confident user of Excel, you can watch my free video tutorials. The excel cash book is the simplest and easiest way to start recording and tracking your business income and expenses and bank balance, for your day to day bank accounts. You can add or delete unwanted columns and delete or insert more rows. Balances are calculated automatically with built-in formulas so all you have to do is enter how much you earned or spent and the expected bank balance is calculated for you! You can then perform a bank reconciliation within the cashbook to make sure the cashbook reconciles with your bank balance. 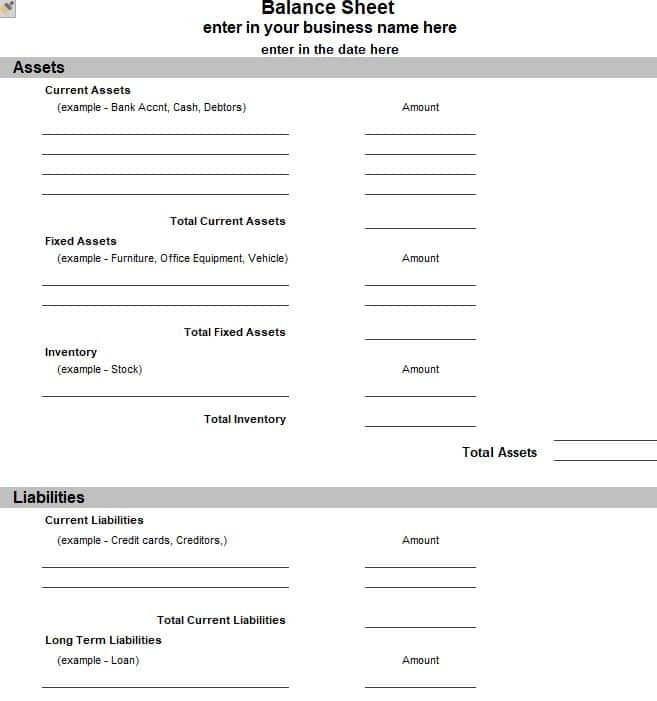 This cash book also includes an Income Statement report so you can see if the business is making a profit or a loss each month, and a Balance Sheet report so you can see what your business is worth. This form is a cash book specifically for tracking income and expenses off a credit card. This template is similar in layout to the cash book, however it incorporates sales tax features so you can use it for GST or VAT or HST, and has the added benefit of keeping records for two bank accounts and one credit card. Need to give your customers a sales invoice? 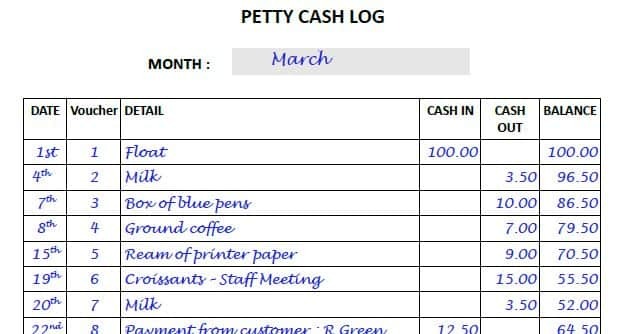 Excel already has a great variety of Invoice templates included in their system. Click on File > New and type Invoice into the search bar. The same goes with just about any other template that you might need. You probably don't need to search the web or use my templates to find one - just look inside Excel! 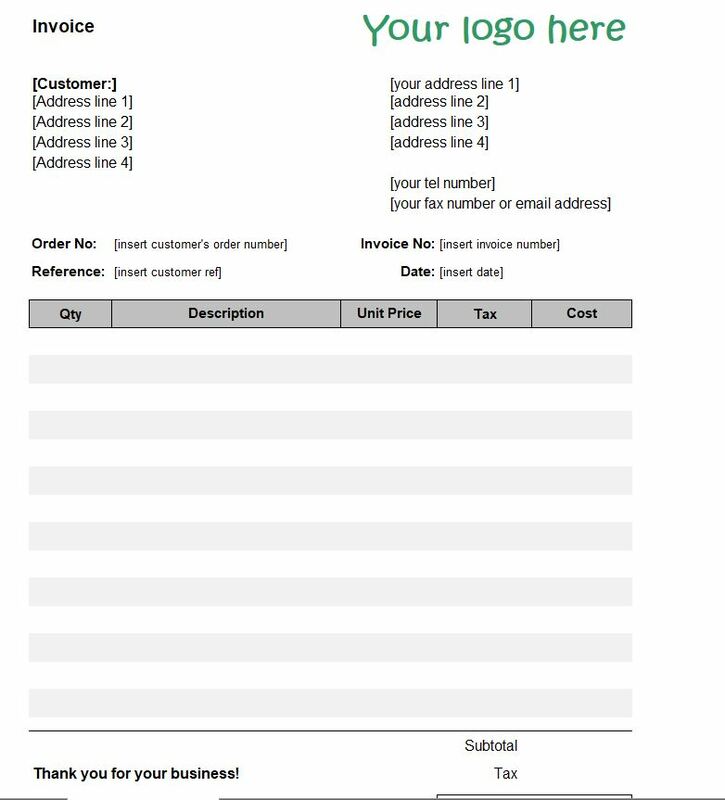 I have done a sample invoice anyway and you can click on the link to go look at it and use it to get an idea of what information you need to include on your self-designed template. This is what you need to send to your customers at the end of the month. Use it to list all the invoices you have sent them and include a total. 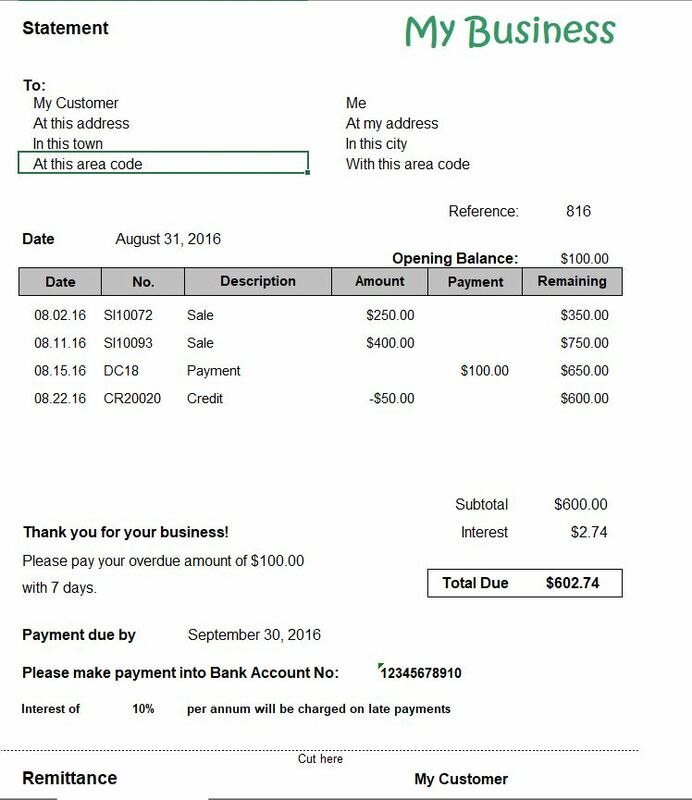 This tells your customers how much they owe you, and if for some reason they are missing an invoice, they can contact you for a copy. A statement of account is the best way of reminding your customers that you sent them a certain number of invoices during the month, and that they owe you a certain amount of money and that it is due by a certain date, and that if they don’t pay on time you might charge a certain amount of interest. Use this spreadsheet to record all the invoices a business issues to a customer who have an account with the business. You can track customer payments, and keep notes on what a customer says if the business has to call them about overdue payments. If you buy or make stock items and sell them, you can use this Excel inventory template to keep a track of all items purchased (made) and sold, having a record of the costs and prices, the quantities, the values and so one for each one. There is an overall Inventory Report which updates automatically so you get to see the totals in one list and immediately see the quantities left in stock, and the overall value of stock on hand. We also explain how to bring the total value of stock on hand into your bookkeeping software. 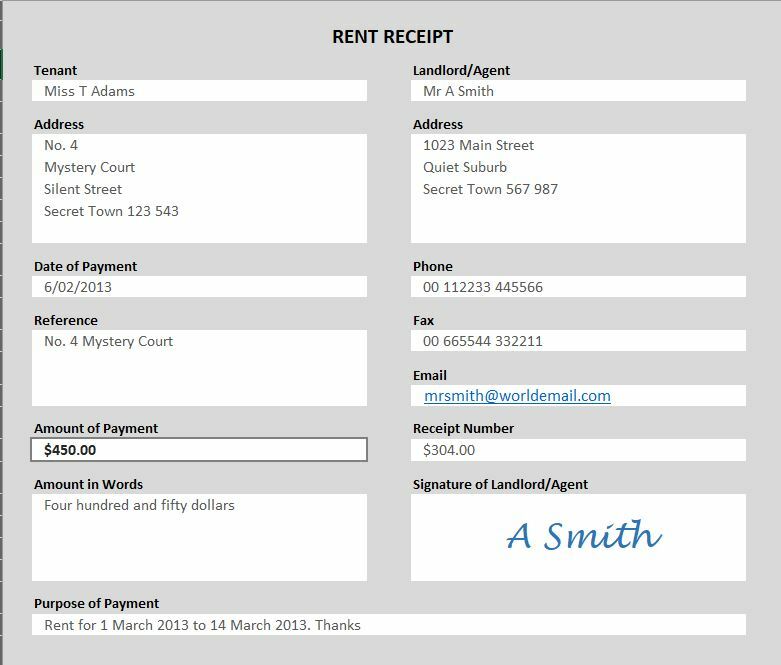 Although this particular excel receipt is geared towards rent, you can easily customize it to exclude anything to do with rent if you require a receipt for other purposes. This template has two versions, one has a shaded background which just makes it look pretty, the other one has no shading so saves the ink usage on your printer. This spreadsheet is a fantastic tool for keeping a record of your purchase invoices due for payment. You would only need to use this spreadsheet if you have bought goods on account and which you still owe payment to the supplier/vendor. You would not use this spreadsheet if you paid for your goods at the time of purchase - eg. if you paid with cash or bank card or with some other means. 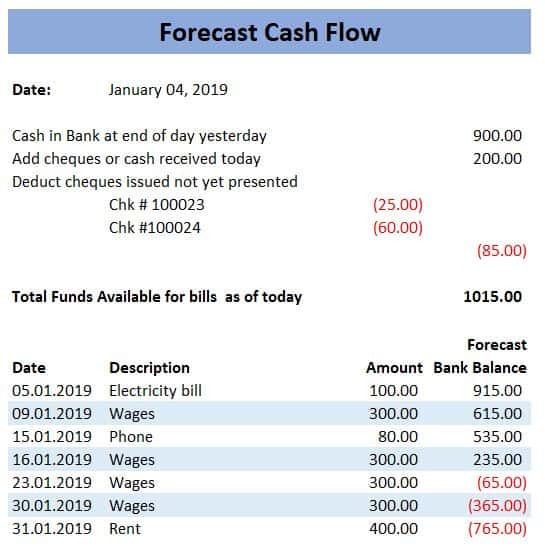 This particular cash flow report is good to use if your business is tight on funds and you can only pay bills as income comes in. You will update it every day and see what your current cash flow is looking like. It allows you to enter in all the bills coming up with their due date, enter in the daily bank balance, enter in the income and calculate how much you have available to pay the bills. This will enable you to prioritize payments for the most urgent and important bills such as wages or telephone. This excel bookkeeping template comes with two tabs, one for the log, wherein you list the daily cash in’s and out’s, and one for the slip, which can be printed out (might want to copy and paste the slip to fill up a page, and then cut them once printed). Keep them in the cash box so that anyone with access can complete one whenever they take money or put change back in. Also known as profit and loss statement. All businesses need to know if a profit or loss is being made. An income statement basically totals the income, totals the expenses, and subtracts the expenses from the income to arrive at a profit or loss figure. 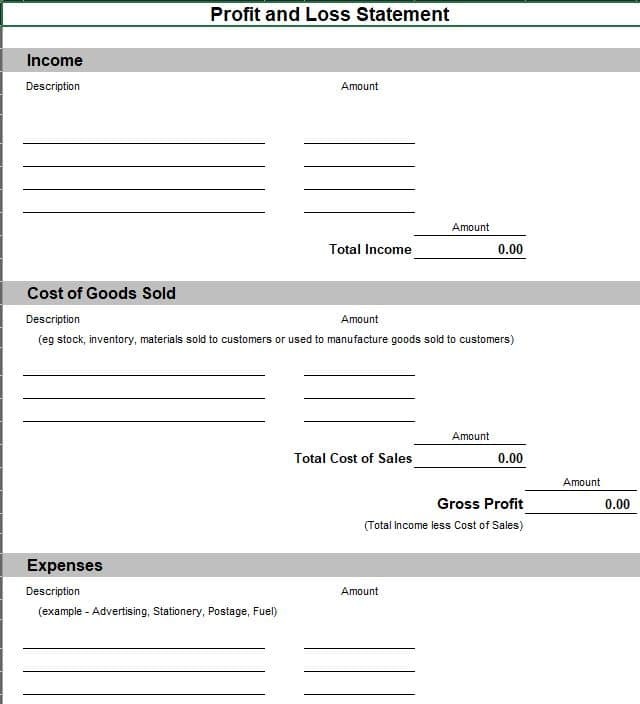 This excel bookkeeping template lets you know what the financial position of your business is i.e. how much you own (assets), how much you owe (liabilities) and your stake in it (equity). In your second year of trading you need to include 'Retained Earnings" under the Equity section (which is just your "current year earnings" from the first year). 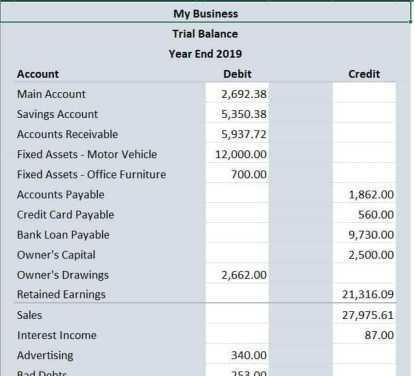 A trial balance is a must have report if you want to move your accounts from one bookkeeping system to another, and it is something a tax accountant will check over at the end of the financial year to ensure all the debits and credits balance. This excel template allows you to prepare one, and you can also view an example and read up how it works. This template cannot be downloaded to your computer. It is designed to be used within the web page. It allows you to practice entering the details of a business transaction in the top half and watch as the bookkeeping journal unfolds in the second half. It can be used for income and expenses paid into or out of a bank account, petty cash, credit card etc. A great template to help you understand how journals work. Working from a home office? 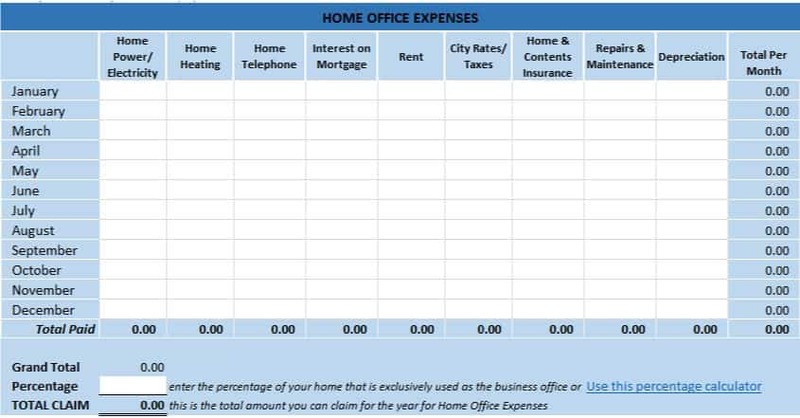 This excel template can be used to record all your personal bills each month (like power, city rates, home & contents insurance etc. ), on which you are able to claim a portion as a deductible business expense. The claimable portion will be the percentage of your home office area vs the house area. We tell you how to calculate that and include it in the template so that the total claimable is automatically worked out. If you are an Excel user, you can try installing the Office Mobile app which allows you to access your documents from your OneDrive or Dropbox or the Microsoft Excel app to your mobile device. It allows you to view and edit and save your Excel documents. Great for when you are out and about. All of the Excel bookkeeping templates founds on this page can also be opened within OpenOffice. If you are on this page you probably already own a desktop version of Microsoft Excel or you subscribe to Microsoft 365, but did you know that OpenOffice is completely free? It is an excellent alternative to Excel and also has word processing, presentations, graphics – all the things you can get from Microsoft, but for free! And in many different languages. Please contact me if you would like to see any other excel bookkeeping templates.